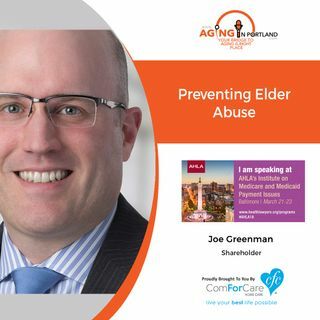 Joseph Greenman of Lane Powell PC joins us on today's show as we discuss Preventing Elder Abuse. Joe is an experienced healthcare attorney who helps healthcare providers understand and improve the delivery of healthcare. He currently serves as the chair of the Governor's Commission on Senior Services and is a former member of the Elder Abuse Prevention Work Group in the Oregon Legislature.